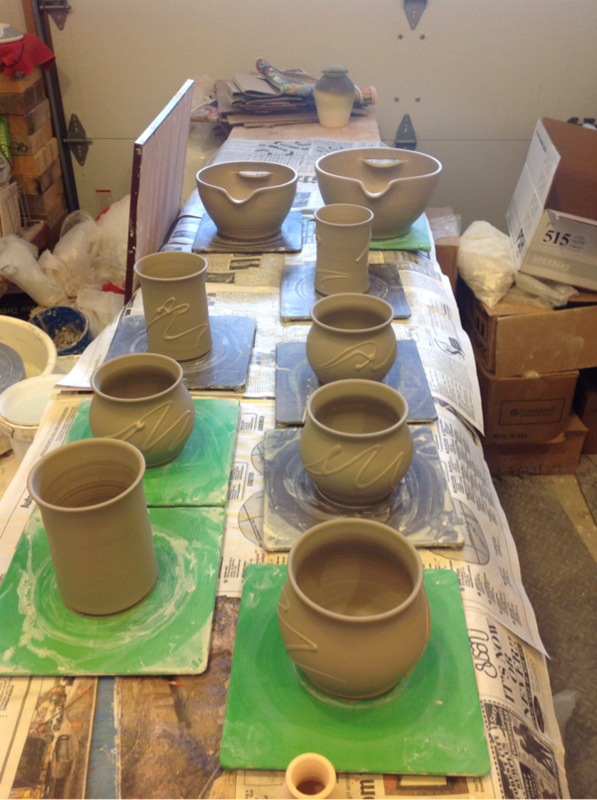 pottery was a gift to me from my husband for one of my birthdays and he has been my sponsor ever since. I started taking classes in Vancouver in the mid-nineties and was hooked...BAD. Still am...what a great gift! 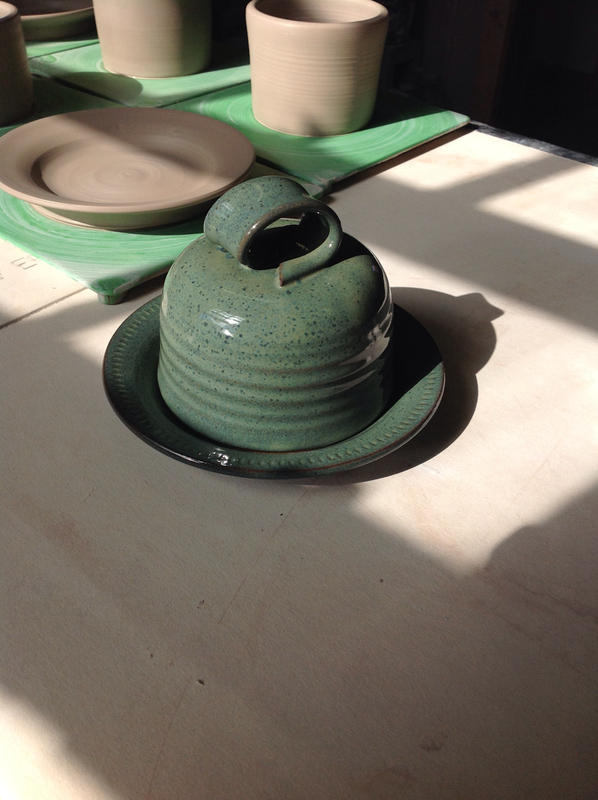 Now I have a home studio and lots if ideas and plans for new pots in a variety of firing types. So if you're ever wondering where I am? I have been looking for a new blue glaze as my tried and true blue has changed due to one of the glaze materials. A friend gave me a floating blue glaze recipe and said it was a beauty and never failed. I did a test tile and it came out nicely so I made a larger batch and glazed a few pieces and fired them. I opened the kiln and this butter dish totally surprised me! It is obviously green not blue! I was a bit bewildered. Then I did a bit more reading about the glaze and discovered the cause, apparently if your kiln cools slowly the glaze becomes green! Mystery solved! The glaze is still beautiful, in fact I really like it I just need to figure out how to cool my kiln more quickly. The hunt continues!